His statement is in line with the RSS's belief that Hinduism is a way of life that should be followed by people from other communities and religions. In other words, minority communities should adopt the ways of the majority community in order to gain acceptance in India. 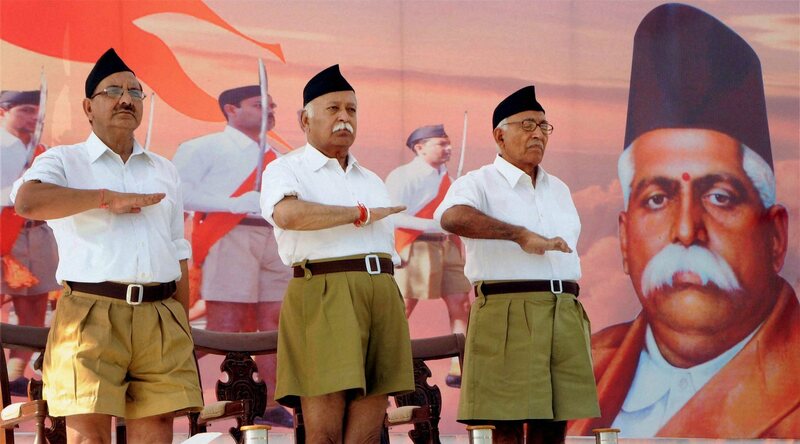 The Rashtriya Swayamsevak Sangh (RSS) is known for speaking in a forked tongue. In fact, over the years, the Sangh’s many affiliates have honed the art of striking seemingly contradictory stances at different times, on different occasions. However, scratch the surface and one finds that the political and cultural philosophy underlining such statements is fully intact. It can be reasonably argued that the ideology of cultural or majoritarian nationalism the RSS has always promoted is today more strongly asserting itself than ever before. Much of this assertion has been driven by the installation of the Bharatiya Janata Party government led by Narendra Modi since 2014. It is against this background that one needs to understand the implications of the RSS chief Mohan Bhagwat’s recent statements at his organsation’s three-day lecture series on the ‘Future of Bharat: An RSS Perspective’ in Delhi. “Hindu Rashtra does not mean it has no place for Muslims. The day it is said that Muslims are unwanted here, the concept of Hindutva will cease to exist,” said Bhagwat on Tuesday. Hum kehte hain ki hamara Hindu Rashtra hai. Hindu Rashtra hai iska matlab isme Musalman nahin chahiye aisa bilkul nahin hai… jis din yeh kaha jayega ki yahan Musalman nahin chahiye… uss din woh Hindutva nahi rahega. Woh toh vishwa-kutumb ki baat karta hai (We say ours is a Hindu Rashtra. Hindu Rashtra does not mean it has no place for Muslims. The day it is said that Muslims are unwanted here, the concept of Hindutva will cease to exist. Hindutva believes that the world is a family). The RSS leader narrated how the Arya Samaj felicitated Sir Syed Ahmed, founder of the Muhammadan Anglo-Oriental College, which later became Aligarh Muslim University, in 1880. Sir Syed, Bhagwat told the audience, was offended at being introduced as the first lawyer from the Muslim community. Bhagwat went on to say that he will “respect” the sentiments of any person who wishes to be identified as “Bharatiya” and not Hindu. Far from being nuanced – as some sections of media are making it out to be – Bhagwat’s statements remain true to the quintessential spirit of the RSS ideology. The RSS believes Hinduism to be a way of life that should be followed by people from other communities and religions. In other words, minority communities should adopt the ways of the majority community in order to gain acceptance in India. Hence Bhagwat’s applause for Sir Syed for protesting his identification as a Muslim lawyer. The RSS leader urges the people to invoke the sentiment that he believes prevailed among the people in India before 1881. 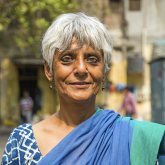 “Usko wapas lana padega… usko aap, hum jaisa kehte hain usko, Hindu mat kaho… aap usko Bharatiya kaho… hum aap ke kehne ka samman karte hain (We need to return to that. If you do not want to call that Hindu, as we do, call it Bharatiya. We will respect what you say),” Bhagwat said. On more than one occasion, Bhagwat has spoken about how Muslims were “originally Hindus”. At an event in Kolkata last December, the RSS leader, while opposing the Sachar Committee’s recommendations, observed that Muslims in India must realise that their forefathers were Hindus, who eventually converted to Islam. As Hilal Ahmed notes, Bhagwat merely took a leaf out of Savarkar’s thesis and did not say anything novel. In his 1923 book, Hindutva, Savarkar had said that even converted Muslims and Hindus could not be brought back to the Hindu fold. “For though Hindusthan to them is Fatherland as to any other Hindu yet it is not to them a holy land too. Their holy land is far off in Arabia or Palestine,” wrote Savarkar. This then is the core belief of all proponents of Hindutva, including Mohan Bhagwat and the RSS. That the Indians who say they are Hindus are more authentically Indian than the Indians who say they are Muslims, and belong to this country in a way that the Muslim Indians do not. There is nothing moderate or nuanced about this poisonous idea, which runs counter to the Indian constitution and the fundamental precepts of a democratic republic.